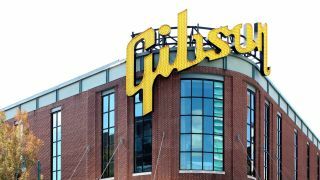 Following hot on the heels of last week's breaking news that Gibson is selling its iconic Memphis factory, the US guitar giant has released a statement. Against a backdrop of gloomy reports on the company's falling sales and mounting debts, the release accentuates the positive, while aiming to reassure locals that the company will remain 'in the greater Memphis area'. The facility, predominantly used to produce Gibson’s semi-hollow and hollowbody instruments, is on the market for $17 million. "A new facility will allow the company to improve the product quality, increase production capacity and potentially increase employment in the area," reads the statement. "Gibson is seeking a buyer for the current location that will allow it to continue to operate in this location while building and leasing an appropriate facility in proximity to the current factory location." Gibson Brands CEO Henry Juszkiewicz said, “We are extremely excited about this next phase of growth that we believe will benefit both our employees, and the Memphis community. I remember when our property had abandoned buildings, and Beale Street was in decline. "It is with great pride that I can see the development of this area with a basketball arena, hotels, and a resurgent pride in the musical heritage of the great city of Memphis. We are extremely excited about this next phase of growth that we believe will benefit both our employees, and the Memphis community. Prime corporate spin, or simply a business responding to changing conditions? Or possibly both? You decide.